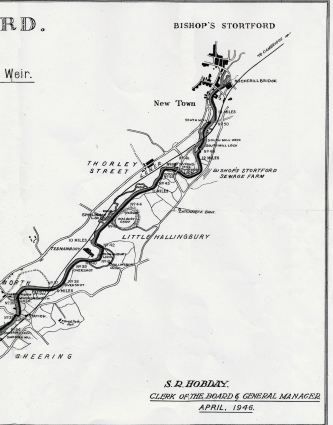 11pm, 20th April 1909. The south eastern side wall of Brick Cistern Lock at Roydon collapsed, trapping all bar one of the Stort barges above the blockage. 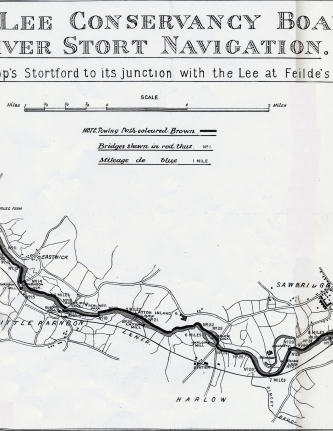 4th July 1924 Official reopening of the Stort Navigation. 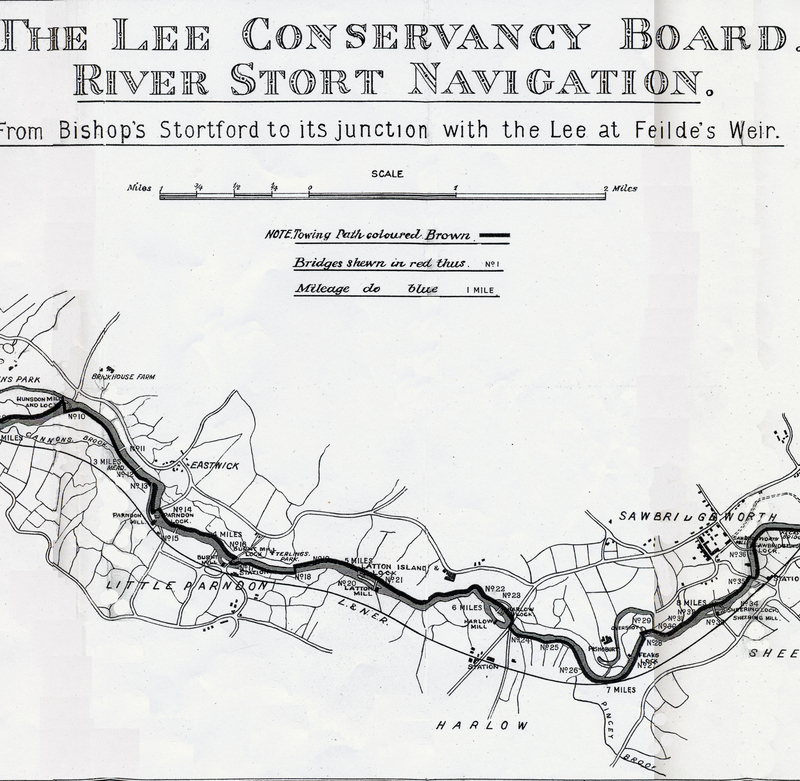 Between 1913 and 1924 the Stort Navigation was saved by the actions of the Lee Conservancy Board. 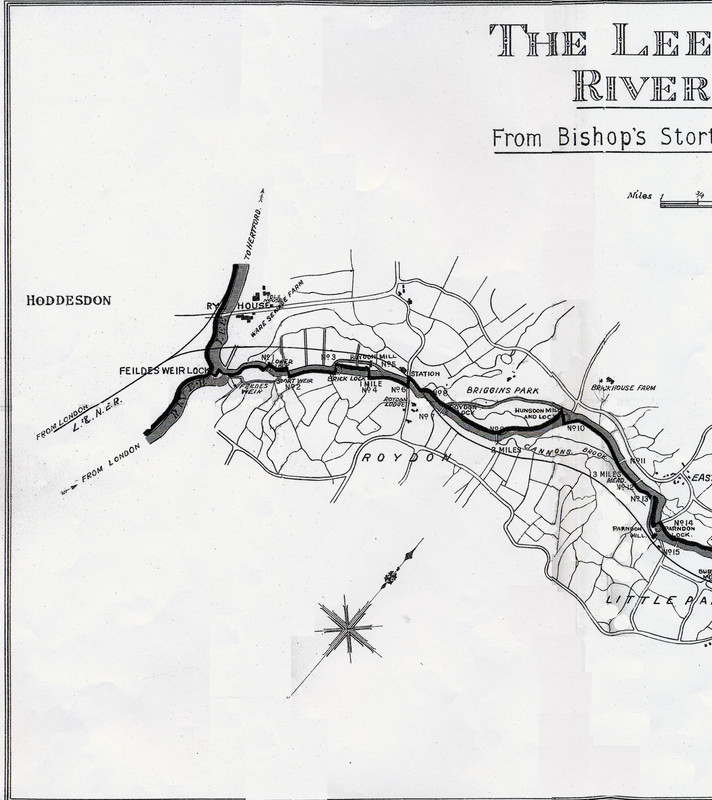 Without their involvement (and the expenditure of nearly £55,000) the river would have degenerated into an unnavigable ditch. 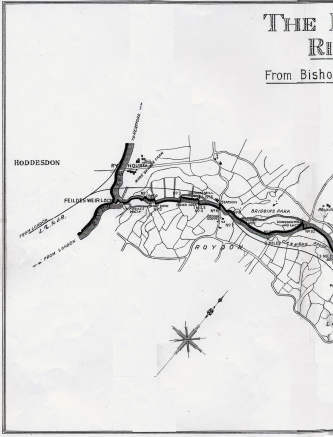 They continued to maintain the river at a loss, spending a further £35,000, until 1948, when it was nationalised. South Mill, Twyford Mill, Sheering Mill, Harlow Mill, Latton Mill, Burnt Mill, Parndon Mill, Hunsdon Mill. Tednambury Lock (Little Hallingbury Mill), Sawbridgeworth Lock (Burton's Mill) and Brick Lock (Roydon Mill). 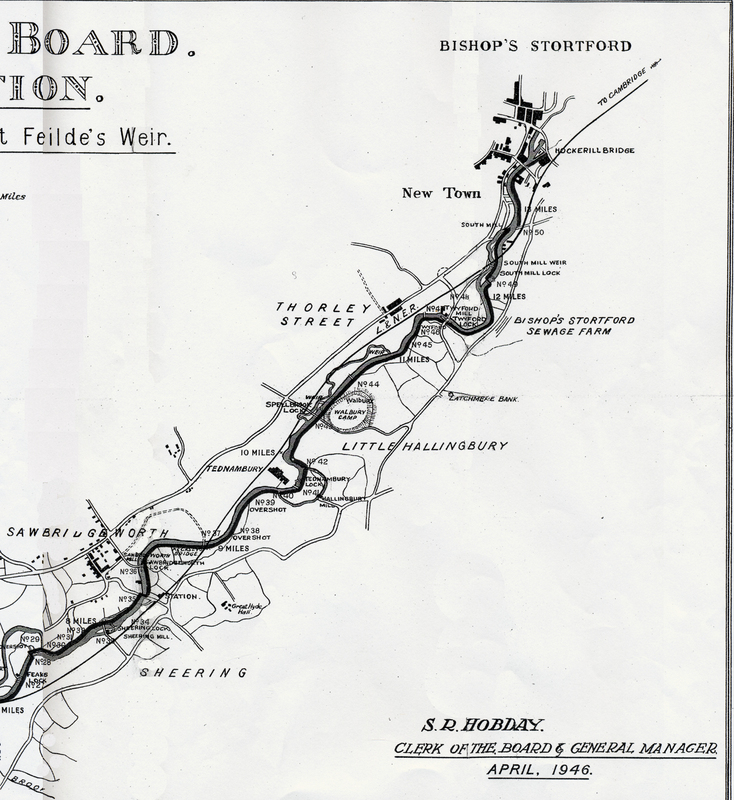 Spellbrook, Feakes, Roydon and Lower Locks.